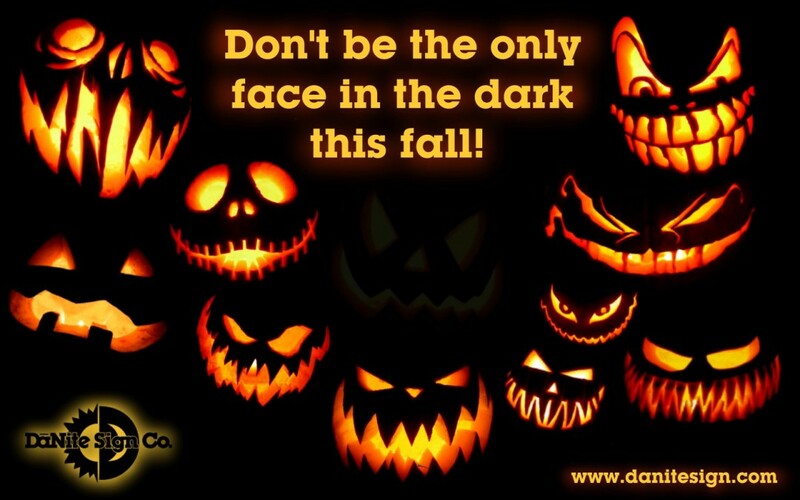 Don’t be the only face in the dark this fall! In a line of grinning and flickering jack-o-lanterns, you always notice the one whose candle has burnt out. It’s bothersome, and a sad sight to see. People also notice the signs around town that have dark letters and faces. They leave a similar sad impression. A call for repairs may have slipped the owner or manager’s mind, or fallen low on the priority list, but the business identification sign is still out there sending a message. A dark or half-lit sign can be screaming to passersby that your business is shoddy, failing, untended, or worse yet, closed. 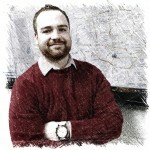 That’s not the kind of horror story that should linger in the minds of your potential clients and current customers! As days grow shorter in the fall, make it a yearly priority to survey your outdoor lighting and signs for the outages that will give the wrong impression about your business. Also, remember that Daylight Savings Time ends on Sunday, November 1st, 2015. Time clocks should “fall back” an hour, from 2:00 AM to 1:00 AM so that your signs and outdoor lighting are in tune with the earlier, darker, winter hours. You can call a reputable sign company to replace burnt out lot lights (which can be a safety hazard), diagnose and repair sign outages, and reset the time clock. Keep your business lighting brightly so you won’t stand out, in all the wrong ways, because your sign face is in the dark this fall.